Regardless of whether your company sells creative cupcakes, second hand cars or cashmere sweaters, knowing exactly who your target audience are online matters – especially if your business goal in 2017 is to get more customers. If you know who your customers are, how they talk about your products and services, how they choose and compare when they are looking to purchase and most importantly what they want (and don’t want), you’re putting yourself in a much stronger position than competitors who don’t. So if you’re looking to get started with identifying your target audience, or think your current audience profile could do with a refresh check out these inspiring and insightful videos on the topic of understanding your customer. When your customers make a purchase they want to feel that it’s authentic. But with the rise of ‘mass customisation’, selling authenticity is tough. So how do some achieve it? Your customers want customised experiences and products – but they are faced with an overwhelming number of choices online. Sheena Lyengar discusses new research that shows how your business can improve the experience of choosing for your customers online. 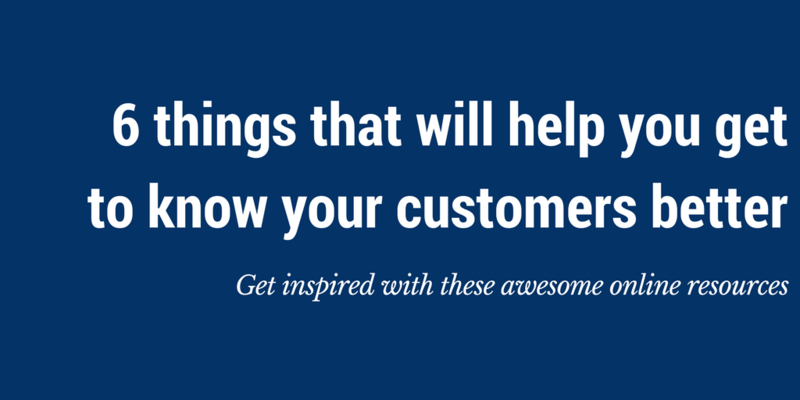 Great customer insights help to create great businesses. But, when it comes to getting inside the head of your target customers, just how deep do you need to go? One way marketers attempt to to get into a customer’s mind is to create a customer persona. Answer the questions in this post to start creating your customer persona today. Check out these slides for a brief intro into buyer personas, how to create one and an example of one that’s been completed.